After reading Steven Brill article, Bitter Pill: Why medical bills are killing us (Time magazine, 20 February 2013) I started to surf the Internet and posed some questions. Let me share with you what I found. Steven Brill’s Time magazine cover story last week on health care got a lot of attention for its tracking of astronomical costs in American health care back to their sources. But why are those costs so high anyway? Is it because an unfettered free market is not allowed to work when it comes to health and medicine? Quite to the contrary. It’s partly because an unfettered free market cannot work when it comes to health and medicine … a free market can’t control those costs. It can only distort and encourage them. It makes them worse. And it isn’t even really a free market. 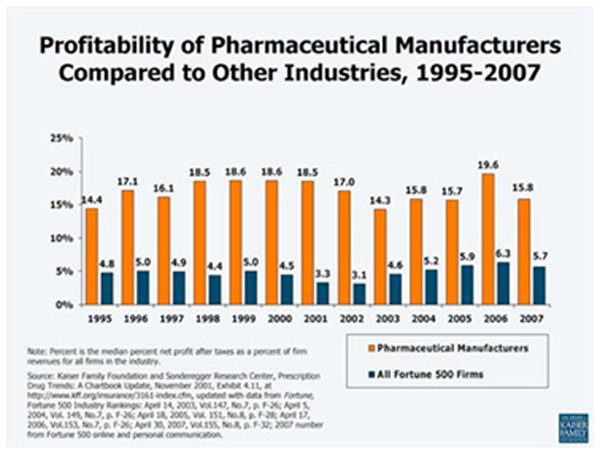 As Steve Brill wrote: Everyone along the supply chain—from hospital administrators (who enjoy multimillion-dollar salaries) to the salesmen, executives and shareholders of drug and equipment makers—was reaping a bonanza. And the only free-market choice I could make at this point to bring way down my own astronomical medical costs would be the choice that was so famously given to Jack Benny: Your money or your life. Doctors in the US have a very powerful cartel restricting the supply of new doctors – medical school slots and residency positions are not increasing due to the demographic-driven demand. Mid-level providers (Nurse Practitioners and Physician Assistants) help meet the demand; but the barriers to becoming a doctor can’t help control prices. It is very true that people shall pay anything for preserving life! This very compulsion of a patient, is exploited by everyone in the medical sector where there exists nexus between doctors and insurance companies on one hand and on the other hand another nexus exists between pharmaceutical companies and medical clinics/doctors. In their greed to milk a needy patient, every means is employed to make him pay for extremely exorbitant prices for medicines even though cheaper substitutes could be available. There must be some accountability in such matters. Medical profession has turned out to be an extremely lucrative profession in the present times. If patients are left a choice to shop for buying the prescribed medicines from adjoining Canada or Mexico, they would get exactly same named prescribed medicine, manufactured by the same company, at a much cheaper rate over there. The US. Federal government rather should give a choice to those patients who can procure those prescribed medicines at cheaper rates from Canada/Mexico etc. I typed this question in Google search: Is the US healthcare cost-effective? The US healthcare system is one of the least cost-effective in reducing mortality rates; while the United Kingdom is among the most cost-effective, according to a recent study published in the July issue of Journal of the Royal Society of Medicine Short Reports. The study compared the United States, United Kingdom, and 17 Western countries’ efficiency and effectiveness in reducing mortality over a 25-year period. The greatest cost-effectiveness was found for Ireland, United Kingdom, and New Zealand and the least cost effective, were found for Portugal, Switzerland, and the United States. Unless you’ve been living under a rock, you’ve heard by now that, where the majority of developed countries spend between 8–10% of GDP on health, America spends ~16%. Per capita healthcare costs in the States have significantly outstripped costs in other countries. Why has healthcare expenditure exploded? Each component of healthcare spending has grown — but the fastest growth has come from prescription drug spending. Where people in other developed countries spend between $400 and $500, Americans spend almost $900 per capita on pharmaceuticals. Americans receive less care than their counterparts in other developed nations. The US has the lowest number of hospital beds per 1,000 people amongst developed countries. And it has the smallest number of doctor consultations per capita — just 3.8, compared to Canada’s 5.8, or Germany’s 7.4. Americans pay more for healthcare because they trade more expensive products for less service, realizing poorer outcomes. Why? Because that is what maximizes near-term profits along the value chain. I typed this question in Google search: Is the US healthcare compassionate? 1. Empathy, emotional support, and a desire to relieve a patient’s distress and suffering. 2. Effective communication at all stages of a patient’s illness and treatment. 3. Respecting patients’ and families’ desires to participate in making health care decisions. 4. Knowing and relating to the patient as a whole person, not just a disease. Compassion is as important in helping patients manage chronic and acute conditions as it is at the end of life. To improve quality and reduce costs, compassion should be present in all aspects of our healthcare system. The survey found that only 53 percent of patients and 58 percent of doctors rate the U.S. healthcare system as a compassionate one. Problems with the U.S. health care system include escalating costs, medical errors, inconsistent results and, according to a new national survey, a lack of compassion. Gordon Marino, professor of philosophy at St. Olaf College wrote: The real US healthcare issue: compassion deficiency. Americans suffer from a compassion deficiency. I typed this question in Google search: Is the US healthcare money driven? The U.S. spends twice as much per person on healthcare as the average developed nation, yet our outcomes, especially for chronic diseases, are very often worse. What makes us the exception? The U.S. is the only industrialized nation that has chosen to turn medicine into a largely unregulated, for-profit business. Dr. Donald Berwick, Administrator of the Centers for Medicare and Medicaid Services, explains: We get more care, but not better care. Medical ethicist Larry Churchill doesn’t mince words: The current medical care system is not designed to meet the health needs of the population. It is designed to protect the interests of insurance companies, pharmaceutical firms, and to a certain extent organized medicine. It is designed to turn a profit. It is designed to meet the needs of the people in power. As the eye-opening ads in Money-Driven Medicine reveal, the more new drugs, surgical procedures, diagnostic devices and hospital beds the health industry can produce, the more they can sell – whether we need them or not. It’s called “supply-driven demand” and it’s possible because a sick consumer can’t say no. The U.S. healthcare system is a giant money making scam that is designed to drain as much money as possible out of all of us before we die. In the United States today, the healthcare industry is completely dominated by government bureaucrats, health insurance companies and pharmaceutical corporations. The pharmaceutical corporations spend billions of dollars to convince all of us to become dependent on their legal drugs, the health insurance companies make billions of dollars by providing as little health care as possible, and they both spend millions of dollars to make sure that our politicians in Washington D.C. keep the gravy train rolling. Healthcare costs continue to go up rapidly, the level of care that we are receiving continues to go down, and every move that our politicians make just seems to make all of our healthcare problems even worse. In America today, a single trip to the emergency room can easily cost you $100,000, and if you happen to get cancer you could end up with medical bills in excess of a million dollars. Even if you do have health insurance, there are usually limits on your coverage, and the truth is that just a single major illness is often enough to push most American families into bankruptcy. At the same time, hospital administrators, pharmaceutical corporations and health insurance company executives are absolutely swimming in huge mountains of cash. I typed this in Google search: Are Americans going bankrupt due to medical bill? What did they say? In 1981, only 8% of families filed for bankruptcy due to serious medical problem. In 2001, the author’s study showed that at least 46.2% of all bankruptcies were due to medical problems. In 2007, 62.1% of all bankruptcies were because of medical problems. The shocking discovery: Most medical debtors were well educated, own homes and had middle class occupations. Three quarters had health insurance. What has gone wrong? High medical bills directly contributed to their bankruptcy. Many families with continuous coverage found themselves under-insured, responsible for thousands of dollars in out-of-pocket costs. Others had private coverage but lost it when they became too sick to work. Nationally, a quarter of firms cancel coverage immediately when an employee suffers a disabling illness; another quarter do so within a year. The authors concluded: The US healthcare financing system is broken. Reuters had this report: Medical bills underlie 60 percent of U.S. bankrupts: study. According to this report, medical bills are behind more than 60 percent of U.S. personal bankruptcies … healthcare reform is on the wrong track. More than 75 percent of these bankrupt families had health insurance but still were overwhelmed by their medical debts. Dr. David Himmelstein of Harvard University said: Unless you’re Warren Buffett, your family is just one serious illness away from bankruptcy…For middle-class Americans, health insurance offers little protection. In the New York Times, Medical Bills Cause Most Bankruptcies, Tara Parket-Pope wrote: Nearly two out of three bankruptcies stem from medical bills, and even people with health insurance face financial disaster if they experience a serious illness. The U.S. health care financing system is broken, and not only for the poor and uninsured,” the study authors wrote. “Middle-class families frequently collapse under the strain of a health care system that treats physical wounds, but often inflicts fiscal ones. Brennan Keller wrote in his blog: A new study done by Harvard University suggests that more than 62% of all personal bankruptcies are caused by the cost of over-whelming medical expenses. Of the most financially devastating diseases, cancer reigns supreme. Professor of Political Science, University of Missouri-St. Louis, Dr. Kenneth Thomas wrote: Medical Costs Help Drive United States to Highest Bankruptcy Rate in OECD. A study published in the American Journal of Medicine shows that there was a sharp increase in the proportion of bankruptcies with significant medical causes (defined as debts over $5,000, loss of income due to health problems, or mortgaging of the debtor’s home to help meet medical expenses) between 2001 and 2007. According to their study, 46.2% of bankruptcies in 2001 were medically-related, while by 2007 the level had grown to 62.1%. This year, a whopping 1.25 million Americans are expected to file for bankruptcy. Ask the president and his allies whom to blame, and they’ll point to healthcare. President Obama has claimed that the cost of healthcare causes a bankruptcy every 30 seconds. But the alleged link between health costs and bankruptcy is about as real as the tooth fairy. The overwhelming body of research shows that medical costs play little or no role in the vast majority of U.S. personal bankruptcies. Proponents of the health-cost-bankruptcy theory tend to cite a Harvard study that blames high medical bills for some 62 percent of American bankruptcies. A study published in the journal Health Affairs reviewed Justice Department data and discovered that among Americans who cited medical debt as a contributing factor in their bankruptcy filing, only 12 to 13 percent of their total debts were medical. The study also found that medical spending was a factor in no more than 17 percent of U.S. bankruptcies. 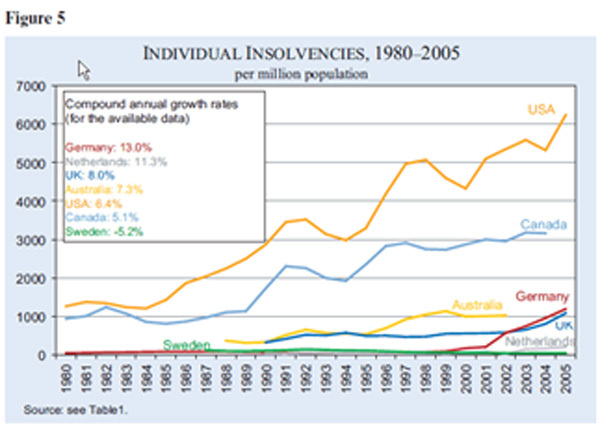 Too many Americans go bankrupt each year. But contrary to the claims … the cost of healthcare is not to blame. You can agree or disagree with what Sally Pipes wrote, but let me ask you to read again the article: Are medical bills killing patients? $83,900 (approx: RM 251,700) the initial cost of a lymphoma treatment, or $902,452 (approx: RM 2.2 million) for treatment of lung cancer for 11 months before the patient died. With that kind of medical bills, who would not go bankrupt? As I surfed the internet further, I came across many shocking facts – I asked myself: How not to go bankrupt with things like this happened? The tab for medical care can add up quickly. Take a breast cancer diagnosis, for example. A breast cancer diagnosis bill can easily top $25,000. A bilateral mammogram costs about $270. A biopsy to test a suspicious area costs about $1,070. A total mastectomy would cost about $11,500. If the patient needs chemotherapy, a four-day hospitalization for treatment will run about $13,400. Add another $260 per radiation treatment. This is written in loving memory of a couple I knew for decades. She suffered a lifetime with bi-polar. To pay for the expensive drugs not covered, he re-mortgaged. After retirement he could no longer keep up. The night before their foreclosure, he shot her and their border collie (dog) and out of grief torched their house. He is now serving life. The collie was killed “because he would have died of a broken heart”. Whenever I think of how inhuman our health care non-system is, my heart breaks again. Our 25 year old son could not afford health insurance and it wasn’t provided at the restaurant where he worked. He had a serious accident which resulted in extensive third degree burns on his right hand, arm and leg. He was in the burn unit in Buffalo, NY for two weeks, underwent skin grafts and physical therapy to regain the use of his right hand and fingers. He ran up over 50K of medical bills but did not declare bankruptcy-because of the stigma. Now he is crippled by medical bills, cannot afford a car, his own apartment, or health insurance on his income. I don’t see how he will be able to recover from this and ever afford to have a family. When a Medicine (Revlimid) “Works” It’s Unaffordable: $132,000/year, $534/pill (This is RM 1,650 per pill) : After making more than 70 phone calls to 16 organizations over the past few weeks, I’m still not totally sure what I will owe for my Revlimid, a derivative of thalidomide that is keeping my multiple myeloma in check. The drug is extremely expensive — about $11,000 retail for a four-week supply, $132,000 a year, $524 a pill. While drug companies spend a great deal to develop medications, their costs are inflated and overstated. Efficiency is simply not on their agenda. Nor is patient well being, access or for that matter outcomes. It’s the money stupid! Charging more than twice the median U.S. income for a single drug that patients in life-threatening situation, any single drug, is simple blackmail. It reflects an industry and economy gone mad. I had a friend who was on Revlimid for a pre leukemia condition. He was shocked when I told him what the cost was. The drug also has some very nasty side effects. Despite the treatment, he died a few months after starting it. Cabozantinib: A Miracle Cancer Drug without Survival Benefit: The FDA recently approved cabozantinib for use in medullary thyroid cancer that has metastasized. What’s noteworthy about this drug is that it will likely be very expensive and that it does not, repeat does not improve the patient’s survival – No statistically significant difference in overall survival. Cometriq contains a Boxed Warning, telling doctors and patients about the risks of severe and fatal bleedings and perforations and fistula in the colon. Other new miracle agents often have limited efficacy with say two months median survival improvement. But this is the first such drug being actively promoted, that I can recall, that has no survival benefit. Maybe this is yet another reason we spend more on healthcare than any other country in the world. This entry was posted in Medical Costs / technology and tagged bankrupt, high medical cost by CA Care. Bookmark the permalink.